Members will be e-mailed each new issue of the Quarterly four times a year as a .pdf document. 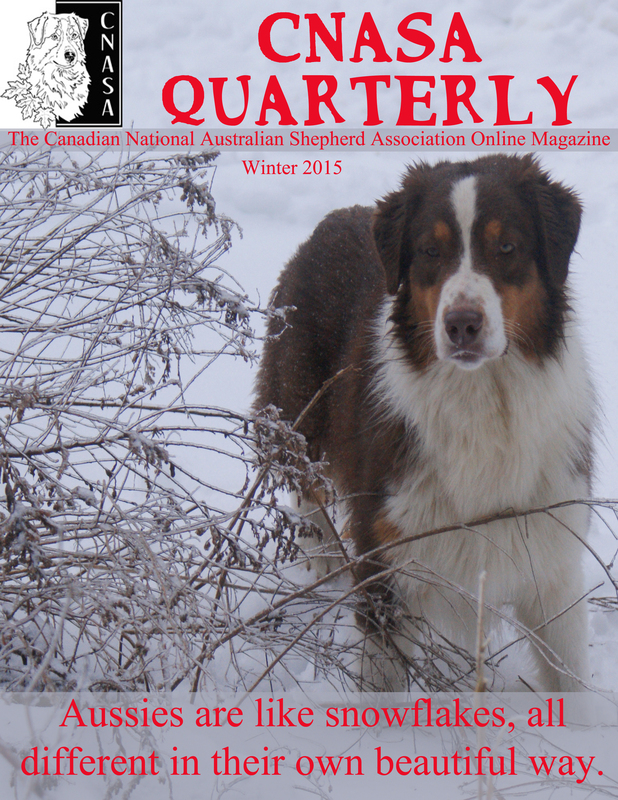 The current Quarterly is ONLY available to CNASA members. Ads and business cards from the Quarterly will be available to the public. 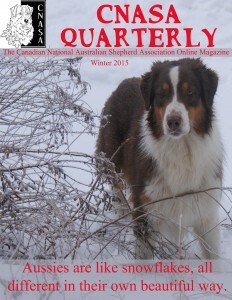 We invite all members to submit articles of interest, favorite treat recipes, grooming tips, or anything else that you think would be of interest to fellow Aussie people to the editor, Angela Slauenwhite at angelaandcollin@hotmail.com The deadline for submission is the same as for ads. This is YOUR Quarterly ~ help us make it the BEST it can be!! *Ads must be in jpg format and be in portrait layout. NOTE – ads received in landscape layout will only be used as half-page ads! Your card will also be included on the CNASA Member Breeder Cards page for one year! *All advertising rates are per edition, with the exception of the Business Card Index.